You (and I) are guilty of placing things on pedestals and I’m not talking about vases. More like things in our life that we put above all others without criticism. For some of us, it’s who we love. For others, it’s our career. And too many of us put money way up there. One problem is that none of these things will truly make you happy. In fact, all of them will be a huge let down at some point in your life. 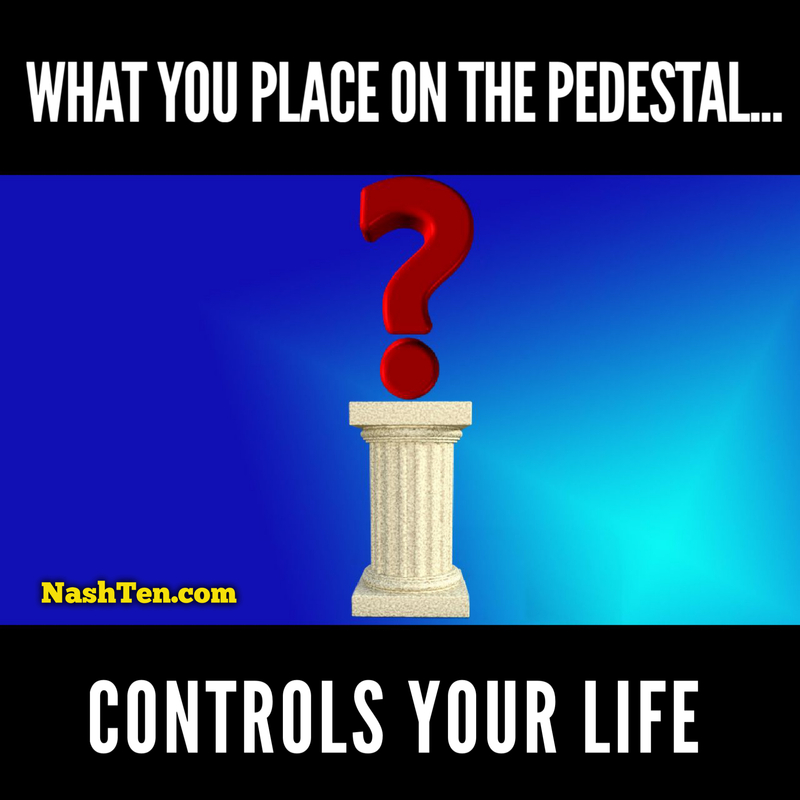 The real problem is that whatever you place on a pedestal becomes your master. And everything else in your life is sacrificed to serve what you’ve elevated. You’ve probably had people in your life like this. They put their everything they have into their profession. Missing the kid's events at school. Or working late every night and weekend. Scheduling business travel during anniversaries, birthdays and holidays. One day, they wake up alone. Abandoned by the family that they thought they loved. With nothing to show but a job for a company that never truly cared for them. A person who I consider a mentor in my life, Ben Settle, says the only thing that you should place on a pedestal is your mission. You know, the core purpose that you believe you were created to do. That’s because true happiness can only come from inside you. Nothing external will ever bring you long lasting joy and contentment. I believe that all of us are called to do something important. When answered, you will surely end up where you needed to be with a smile on your face and a chorus of family and friends cheering you on. The Daily Deal in Nashville is this beautiful single-level home in Thompson Station [Williamson County] that is listed for less than $390,000.